The overnight shift at the front desk of Concord’s Colonial Inn is a lot like most small inns. After the last guest is checked in, restaurants and bars closed, there’s paperwork, reports and printing out bills for those checking out in the morning to keep you busy during those hazy hours of sleeplessness. One evening, the quiet of the lobby was interrupted by a woman, whose attire made it fairly obvious that she had dressed in a hurry, running wild-eyed into the room. 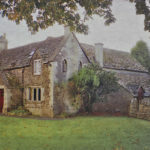 She conveyed in no uncertain terms that her room was haunted, that she would not be spending the night anyplace in the inn, and that someone was going to have to go up to her room and pack her bags, as she was not going back under any circumstances. The staff at the Colonial Inn is nothing if not accommodating, and sent someone up to gather her belongings. He came back down in short order, with bags in hand. He broke the news, somewhat hesitantly, that upon entering her room he had found her bags. Already packed. 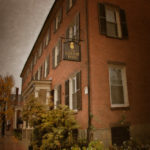 It d take a lot to get the staff at Concord’s Colonial Inn to talk about the ghosts. In fact, all I needed to do was approach the host at the Inn’s main restaurant, Merchant Row and give him my room number to secure a reservation. I winced at this, as I find most ghost hunters to be as useful as testicles on the Pope, but he was on a roll. 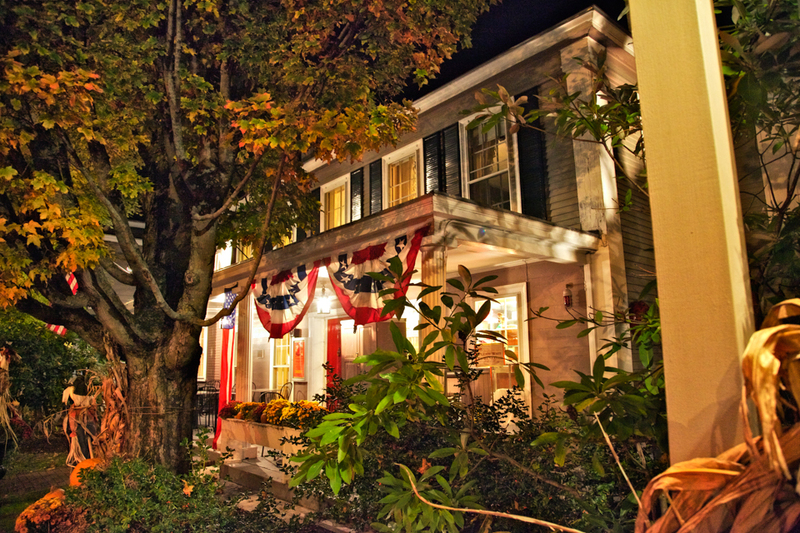 The history of Concord’s Colonial Inn goes back literally to the founding of our country. As those of you who paid attention in history class will remember, Paul Revere’s destination on his famous ride was to Concord, Massachusetts, where he was to alert the locals that the British were coming to seize the local militia’s weapons and gunpowder, which was partly stored in a building which was later to become part of the Inn. Room 24 is in the adjoining building, which at the time housed the office and residence of Dr. Timothy Minot. Paul Revere didn’t make it to Concord, as he was busted by the British just past Lexington on what is now known as Battle Road, but was at the time the main road to Boston. Still the word got through. By the time the main British force reached Lexington common, the Minutemen were waiting for them. A few short minutes later the Minutemen who weren’t lying on the ground bleeding were scattered and running, and the British continued their march to Concord. There they found a second force awaiting them on Concord’s North Bridge, and this time the British were stymied. The British hoofed it back towards Boston, and found themselves under attack nearly the whole way by thousands of colonists who seemed to come out of nowhere to take potshots at the fleeing force. The Minutemen gave chase and thus began the American Revolution in earnest. The wounded from the skirmish on the North Bridge were brought into town to Dr. Minot’s residence, who did what he could, though it would be entirely understandable to find that he was overwhelmed and perhaps out of his depth at the number and types of casualties. 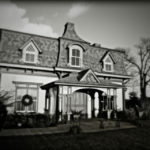 It is also said that Dr. Minot’s residence became the morgue for some of the dead. Which would explain the bloodied soldier in colonial garb that is occasionally spotted in Room 24, usually to groggy tenants who aren’t entirely sure that they believe what they are seeing. Others claim only to see a dark shadow which seems to watch them from the side of the room, before moving to the foot of the bed, standing in front of the fireplace and disappearing. There are no shortages of theories about who the ghost is. Some believe it is Doctor Minot himself. Other’s claim Ralph Waldo Emerson, who likely spent some time in the room. Another popular theory is that it’s Henry David Thoreau, who lived in the house while attending college. Others have seen a young woman with her hair in braids, thought by some to be an indian maiden, by others to be Thoreau’s aunts who also lived in the house. With dreams like those, one can only hope that the experience of staying in the inn has more to offer than mints on the pillow. The dinner was one mark in its favor. My companion dined in the main restaurant, Merchant’s Row. Boasting “an elegant yet welcoming atmosphere,” it’s at once upscale and also comfortable. There are hints of early American decor to be sure, but it feels a bit more continental than colonial. My lady friend had the shrimp and cheddar fritters off the small plate menu ($12), and pronounced it yummy. She also pronounced the Huckleberry Lemonade to be an especially tasty and potent concoction. Being a traditionalist, I opted for the yankee pot roast, which did indeed melt in your mouth. It seemed pretty obvious however that perhaps it wasn’t entirely traditional, as the crisp vegetables and mashed potatoes obviously wasn’t cooked in the same pot as the roast. The cornbread rocked as well, and it was all washed down with liberal quantities of Mayflower Ale. On this particular swing through Massachusetts, I vowed to sample as many different recipes of clam chowder as I possibly could. And I have to go with the chowder at the Colonial Inn for tastiest of the bunch. 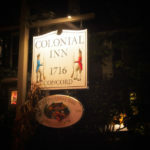 Concord’s Colonial Inn also boasts the Village Forge Tavern, whose wooden floors and heavy wooden beams were once the storeroom for supplies during the revolution. This evening a group of older musicians were plugging in to perform music of the Woodstock generation, and as we made our way out into the night for a stroll around Concord, they were tearing into a tune by the Kinks. Concord is a great town to walk at night, the quiet of their streets coming as some surprise after the constant flow of traffic during the day. There is however, a dearth of taverns and pubs. I only spotted two in addition to the Colonial Inn, one of which had a trio of young Asians blasting out blues numbers originally performed by African-Americans in the rural south, which was a bit surreal. So after dinner was walked off, we ended up back in the Village Forge Tavern for a nightcap. We chose the barroom this time, away from the band, though you could still hear them reveling in memories of the purple haze of a more recent past. As we made our way up to Room 24 once more, I paused to be sure and yes, it was what has to be the first time I had heard any band attempt John Lennon’s Cold Turkey. Which they did remarkably well at that. Room 24 looks the part of an upscale colonial era Inn. It’s not decorated in the period to excess, but it still retains a hint of 18th century charm. Prints by Oriental artists and Audubon grace the walls, the bed is firm, the linens clean and of a high quality. The bathroom is roomy and modern, even boasting two sinks, something which might have Thoreau turning in his grave at the wicked modern excess of the 21st century. After ten, there is very little traffic noise from outside, remarkable considering you’re right on Monument Square, which is a nightmare at times to navigate during the day. Even the thump, thump of the band disappears when you close the door. The official literature of Concord’s Colonial Inn proclaims the spirits in Room 24 to be friendly. There’s a story of another guest which bears this out. It seems he had overindulged at dinner at Merchant Row, and awoke to find himself quite uncomfortable. Aware of the ghost stories, he called on the spirit of Dr. Minot to help him out. He then began to experience a tingling sensation, as though electricity was coursing through is veins. As he lay there, paralyzed by the strange sensation which only lasted at most five seconds, he began to relax and found that his stomach ache had eased. When the popular TV series Ghost Hunters investigated the room however, they had a different experience. Calling out to the spirits to make their presence known, the door suddenly closed. They then made the spirits a deal. If it would close the door once more, they would pack their equipment and leave them alone. The spirits obliged and it appears that the ghost hunters then kept their words and called off the investigation. Perhaps the ghosts of Room 24 have taste after all. As I switched off the light however, I didn’t get the sense that the room was haunted by friendly spirits. I don’t often feel things in haunted locations, I’ll be the first to admit. But laying in the dark, I had the distinct sensation of something menacing in the room with me. I got up, turned on the bathroom light and adjusted the door so there was a bit of a glow to the room, and found myself trying to fall asleep with one eye open. It’s an eerie feeling to be facing the very fireplace where several people have reported seeing a spirit fade away. But soon it was I who was fading away, and before I knew it I was waking up to another lovely fall morning in New England. 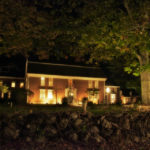 Concord’s Colonial Inn consistently draws a three to four star rating on travel sites. With their attention to detail, the wealth of history in the buildings and fine entertainment and dining options, it’s a great place to stay in the heart of New England. It seemed to be somewhat overrun with Harvard students meeting their parents for a weekend getaway, which was an interesting experience in and of itself. For lovers of all things gothic however, Room 24 is a great experience. Admittedly, it might have been the power of suggestion, as so many ghost stories are tied to the room. But honestly, as I was trying to fall asleep I was scared. 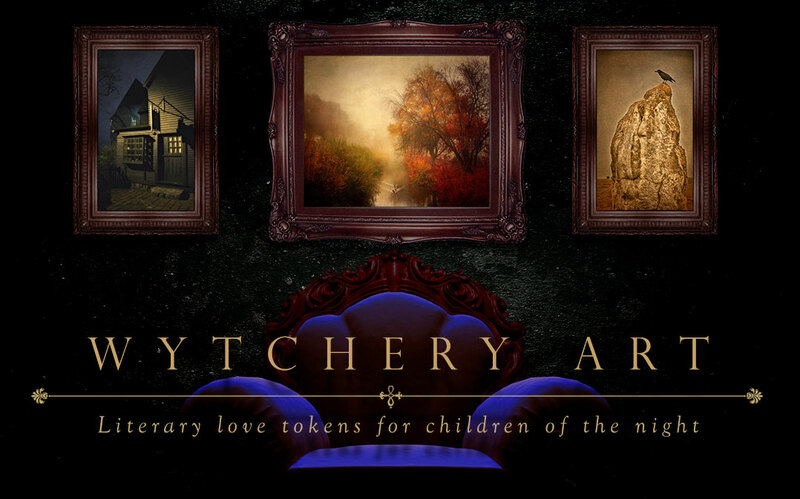 One would expect the modern amenities of the room to distract from that feeling, but it was indeed creepy. 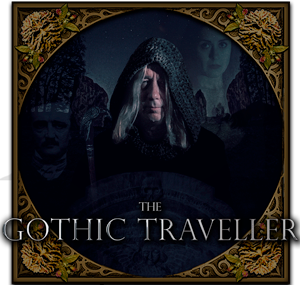 Creepy enough to pull a four crypt rating from this humble reviewer.